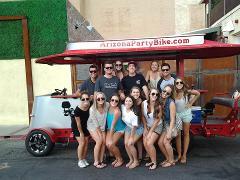 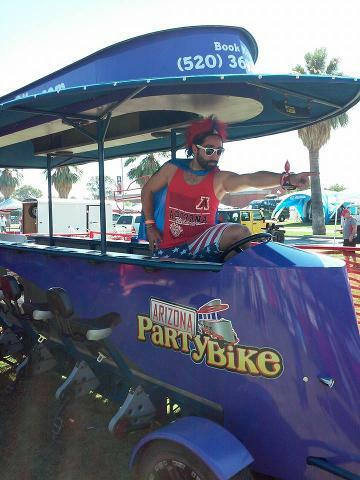 Save some cash by booking the whole Scottsdale party bike. 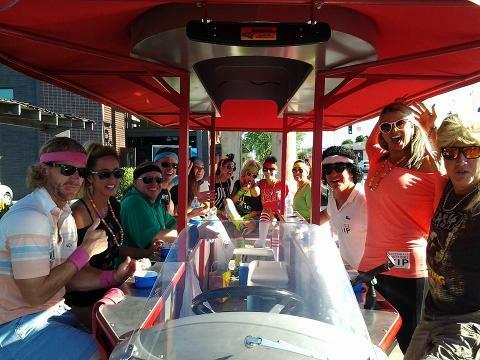 Get exclusive drink specials when you stop at one of our bar partners! 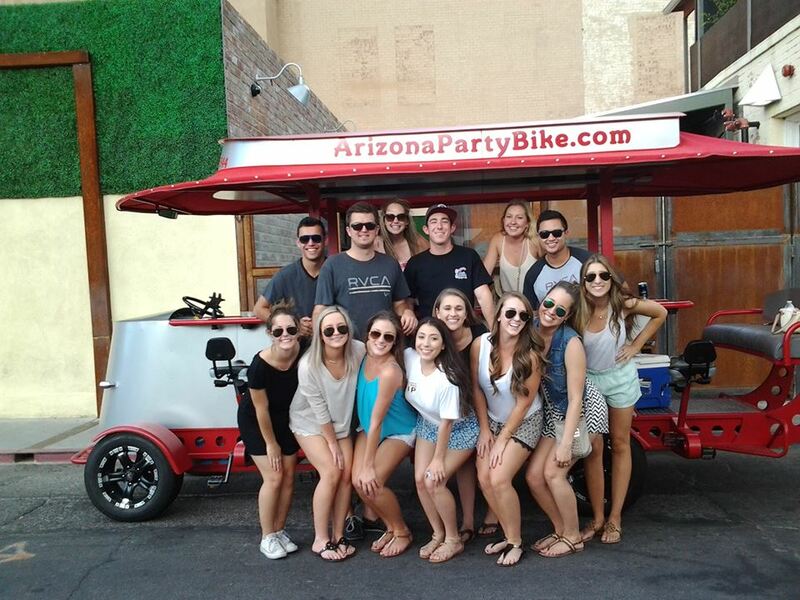 Save money with our most popular option, where groups of up to 15-120 people can book one or more party bikes for a 2-hour fun-filled extravaganza in Old Town Scottsdale! 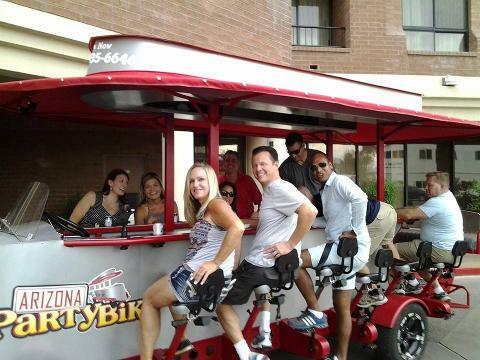 Go on a pub crawl and stop at a few of your favorite watering holes, or let our guide show you all the cool spots for drinks and a bite to eat. 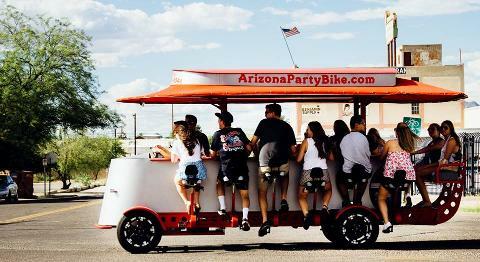 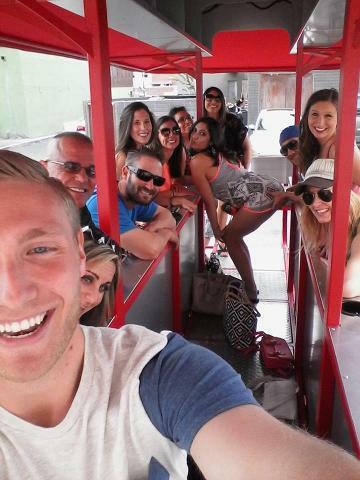 Talk with friends and woo at locals as you ride and drink through Old Town Scottsdale's renowned entertainment district in style!